Does Travel Therapy Really Pay Better? People ask all the time if it’s really true that working as a traveling therapist pays better than working as a permanent employee. The easy answer is “yes,” as a traveler you make much more money hourly than as a permanent employee. But I have often wondered if the costs of moving frequently, unpaid time off, and more expensive temporary housing eat so far into the net gain that we come out about even. After additional costs, I think travel therapists likely end up taking home about the same as permanent therapists, but let’s do a little math and see if we can reach a semi-scientific answer. As I begin to write this blog, I have no idea what the answer is going to be – this will be fun. Let’s assume 3 contracts in one year. This allows for either one longer 6 month contract or one contract extension during the year. Also, most people can’t keep up consecutive 13-week contracts for more than a couple years, it gets tiring. I know some people jump right from one assignment to the next with little, if any break. I tended to take 3 or 4 weeks between contracts to visit family, take road trips, or go on vacation – that’s probably more leisurely than most. If you have trouble finding a contract, you may find yourself out of work a little longer than expected. Let’s go with 2 weeks between contracts, this is more time than some will take, but it allows some wiggle room for travel and job-finding. Let’s assume we’ll take the housing stipend and find housing for cheaper than the agency would give it to us – it’s the smart and frugal thing to do. We’re going to have to agree on “typical” pay for a traveling therapist, this is tough because geography and setting cause great differences in pay everywhere. With pay in desirable destinations being as low as $1450/wk and a really good paying jobs being up around $1850 or higher, I think the middleground and a typical travel contract pays about $1650/week. This number is after taxes and with that housing stipend that we have decided to take. $10,350 less for our estimated traveling costs brings us down to $68,850 after taxes, or the equivalent of a $95,625 taxed salary. I’m honestly surprised that the salary equivalent of what we’ve just calculated as a typical traveling job is so high. We can see from the pseudo-math above that the great boost in pay for travelers is the tax free money. To make the most of the tax free advantage, it is vital that you have an established tax home. Also, I believe this scenario represents someone who is being financially conscious and making attempts to get back to work in a timely manner, find inexpensive housing, and live within his or her means. There is going to be a lot of variation to these numbers based on whether your assignment pays more or less and a number of personal factors.There are years I took 10 weeks off throughout the course of the year – that affects pay. I’ve heard of people renting cars on assignment, that’s a lot of money (comparable to a second housing rent). You can be frugal with your choice of housing, or you could be frivolous – you could even take the housing provided by the agency rather than the stipend. All of these choices greatly affect how much money you are left with at the end of the year. Clearly, if you want to make more money through traveling PT, you could find the high paying assignments in the high paying states, live a frugal lifestyle, and rake it in. If you are doing traveling PT for the money as your first priority, do us all a favor and don’t. Travel PT should be about traveling. Enjoy seeing the places you go to work. Take time between assignments to relax and soak in some leisure time. Maybe you do a couple contracts as a traveler to explore different employment options or get a variety of experiences. But don’t do it for the money. The extra money is a nice addition to a lifestyle that you should enjoy for other reasons. Travel to travel, you’ll be a lot happier than slaving away in a terrible facility that will pay anything to anyone because it’s an awful place to work. My recommendation would be the same with permanent jobs. 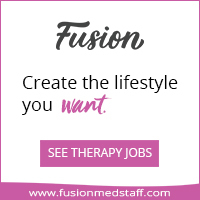 Money should not be the only factor – quality of life, work-life-balance, enjoying your job, being supported by your employer to provide the best care you can to your patients – these are good universal reasons to work anywhere as a therapist. If you have an interest in doing traveling therapy to see the different ways to practice in a variety of settings and a bunch of different places, get out there and do it! You are in for an unbelievable experience and lifestyle. 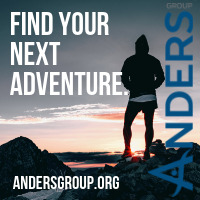 You’ll meet all kinds of different people, expand your clinical skills, and see some really cool places. As it turns out, while you’re scratching that travel itch, you could make a good chunk of cash while you’re at it.